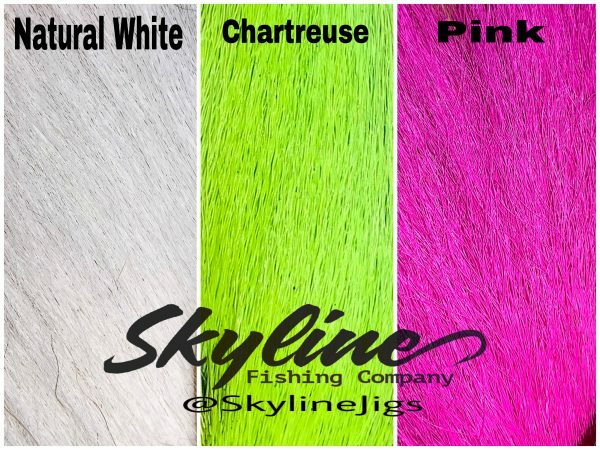 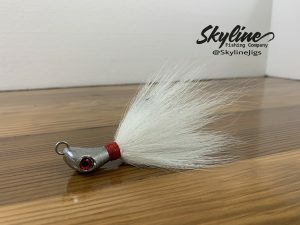 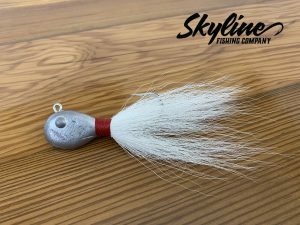 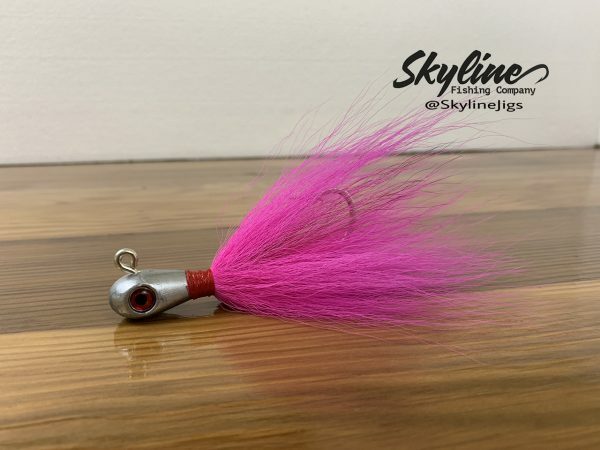 The Skyline Tear Drop Bucktail Jigs are tied with all natural deer hair that allow them to flow through the water naturally like live bait. 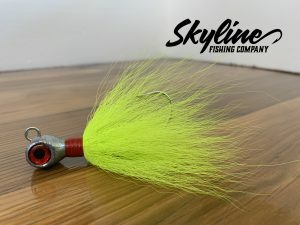 The head design allows this jig to fall at a faster rate. 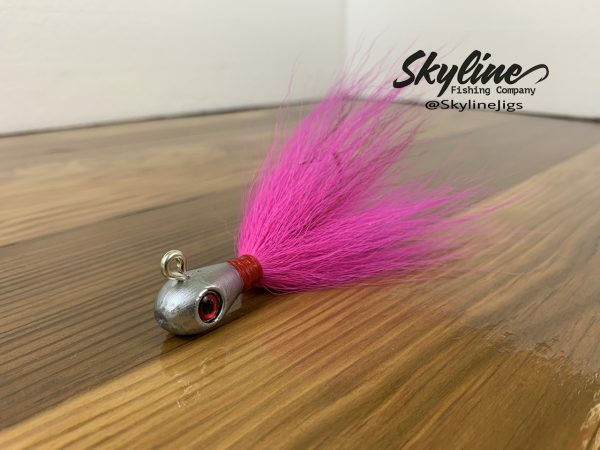 That attracts aggressive strikes from hungry fish.